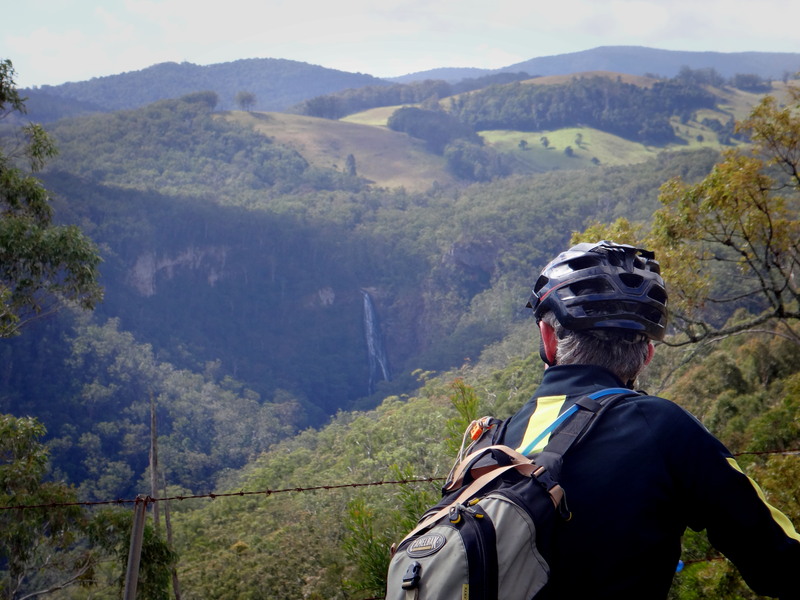 You’re invited to join us for a challenging social ride to one of the most picturesque places in South East Queensland. Corner of Kurrajong St and Emu Vale Road, Tannymorel, south of the Cunningham Highway between Warwick, Maryvale and Killarney. 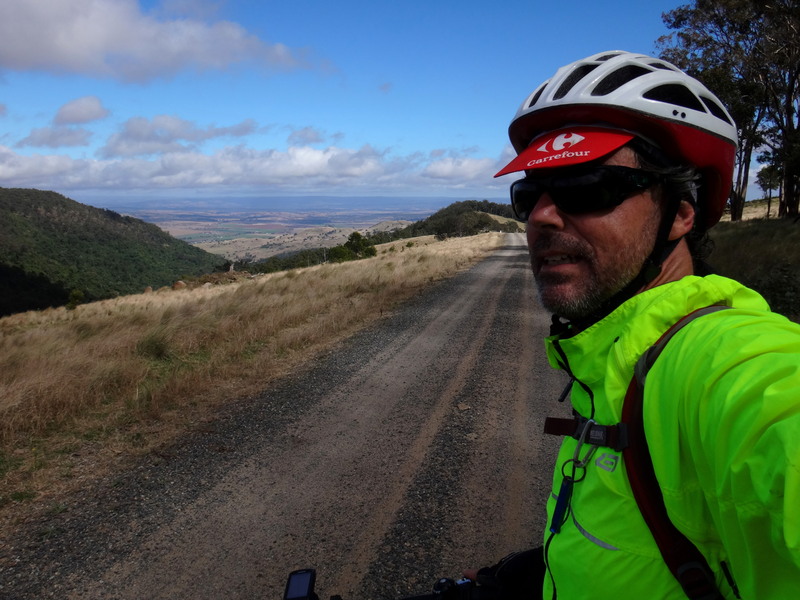 Distance: Approx 55km with about 1,600 metres in climbing. 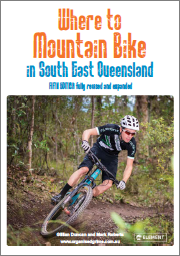 A 20km climb up to one of the highest fire trails in Queensland over the top of Bald Mountain, about 1,200 metres above sea level. Walk to the top of Hoffman Falls which drops more than 100m. Swimming spots on top of the Range and in Emu Creek. A very steep downhill from Hoffmans Peak, which descends more than 600 metres in the space of 5km. Portions of this ride are on private property and are not normally open to the public. We have the permission of land owners to ride through. This ride is not for beginners. 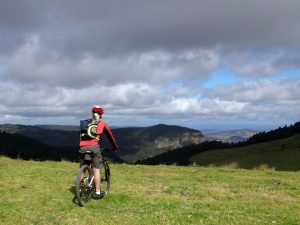 You need to be comfortable riding uphill for more than two hours. 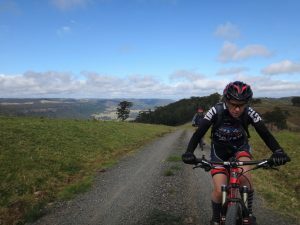 You need to be comfortable with long fast descents. 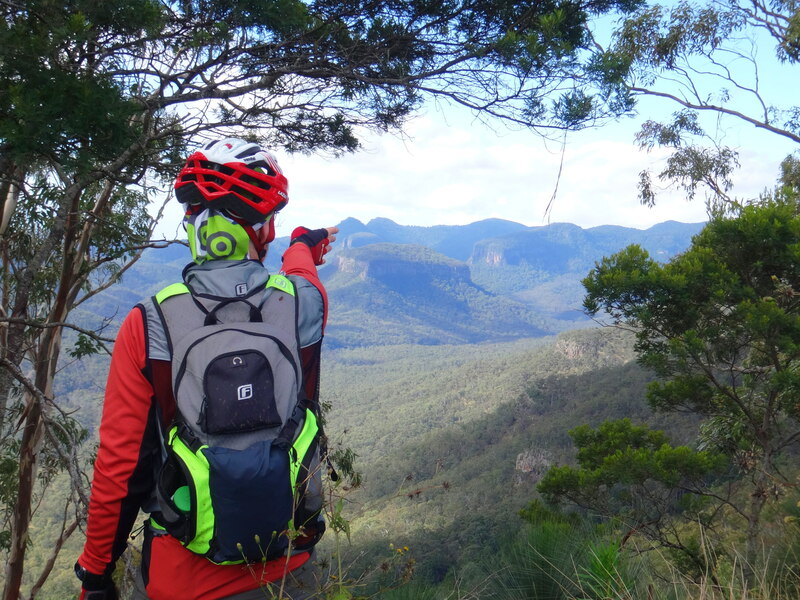 Continue climbing up to 1,100 metres with views down to Condamine Gorge to the right. Short detour to Hoffmans Falls. 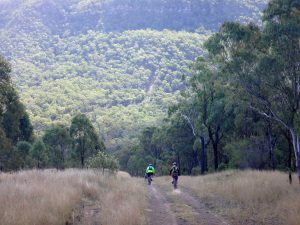 Ride through Gambubal State Forest, then up a rough track to Bald Mountain and Cons Plains. 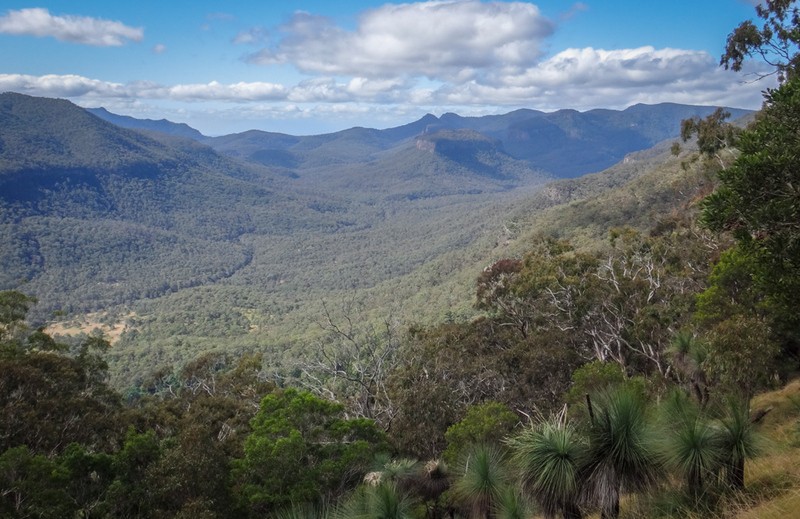 This vantage point overlooks The Lincoln Track, Mount Superbus, the Emu Creek Valley and the Steamers. It’s 1,197 metres above sea level. 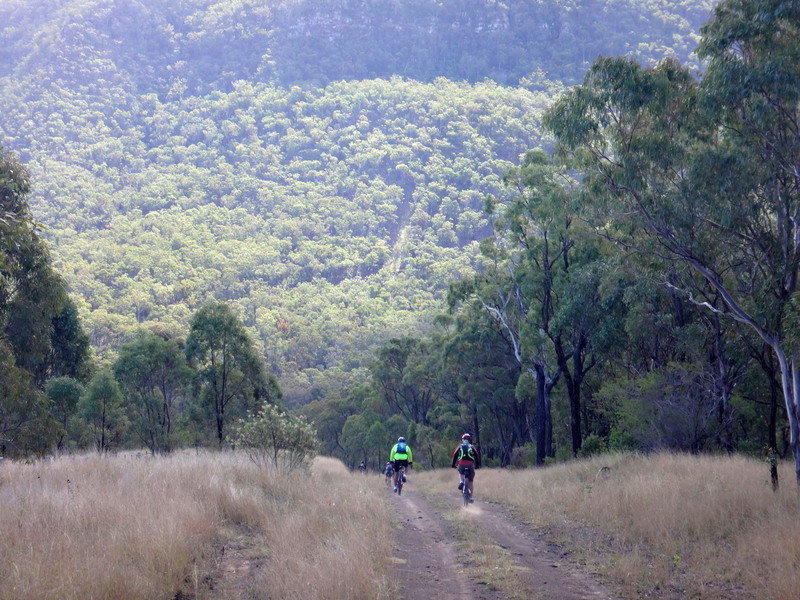 Ride along the northern escarpment of the range with steep drop-offs to the right for almost 10km. Options for a swim in a dam before the descent. Descent via Hoffmans Peak to Emu Creek. Options for a swim in a roadside billabong on Emu Creek Road. Easy downhill back to Emu Vale. 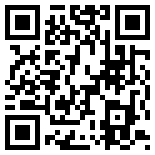 I will publish the actual course and GPX file closer to the day. Plenty of water and snacks – there are long portions with no drinkable water. Rain jacket. We will be riding at altitude, weather can be variable and cold if it rains. Mountain Biking is a dangerous sport. You ride with us at your own risk. 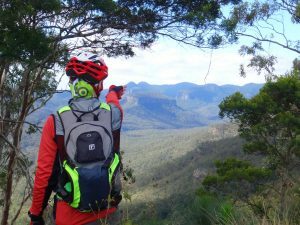 We strongly suggest you join Mountain Biking Australia, which gives you personal accident and public liability insurance. Have always wanted to see The Steamers. Thanks for the ride. I didn’t get to see the Steamers, so it’ll have to be on again! Thanks Ian. I’ll let you know next time we go up that way.